You are required to register a Smart Key in the immobilizer system and the Smart Key system. The process involves matching your key to your car so you can enter and start the car with it. There are several benefits to using this system instead of conventional keys. 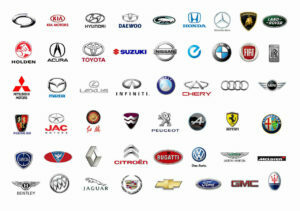 Most modern cars have an electronic key fob that you operate with a remote or transmitter. This is a normal part of the key set. The amount of time it takes to complete the job varies depending on the automaker or complexity of the design of the system. Car Remote ControlWhether you have one and it wont work or you simply want one for you convenience. Car remote controls are devices that we often take for granted on a daily basis. We use the “lock” feature on our remote controls not only to lock our cars quickly and easily, but to locate our vehicles in a crowded parking garage using the “beep” sound of the car when it locks. We also use our remote control devices to unlock all of the doors in our cars with the simple click of a button. This saves us a lot of hassle and time when multiple people are piling into the car at once or when our hands are simply too full to unlock the door manually. Finally, we can use our car remote control devices to set off panic alarms in a number of dangerous situations. Of course, we take this small yet powerful device for granted until it stops working. Often times, a simple battery replacement on the device itself can do the trick. At other times, however, it may be necessary to replace the device in its entirety. This could be due to a defective remote control or other problems that cannot easily be repaired. Furthermore, in the event that the remote control device for a car is completely misplaced, it can be necessary to order and program a replacement remote in order to enjoy the simple conveniences of having one once again. 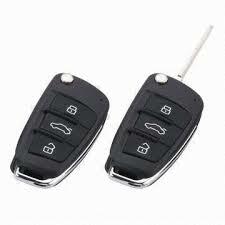 If you find yourself without a working car remote control for any reason or interested in getting one programmed for your car for the first time, you should be sure to contact a locksmith company that has plenty of experience when it comes to programming remote controls for cars of all makes and models. Furthermore, be sure to find one that offers these services for a fair price. By doing this, you can get the replacement remote control or several of them made specifically for your car. This way, you will never again have to worry about being without one.